Mrs. Soma Edirisinghe was born to a family of nine girls. She married Mr. E. A. P.Edirisinghe, and began a new chapter in her life as a wife, and later became a responsible mother of four. More responsibility fell on her shouldersafter the death of her husband, in 1987. From then onwards, she was faced with the task of building a brighter future for her children as well as the EAP Group of Companies. Shefaced all these challenges bravely and ventured towards success, helping the company grow from strength to strength. Today, the EAP Group of Companies has become a top player in the media industry and its star stations Swarnawahini, ShreeFM, RanOne and E FM were built on the backbone of her hard work and dedication. With fervent commitment, she alsocemented the EAP brand in the hotel, jewellery and finance industries. She played a pivotal role in furthering EAP’s prowess in the cinema industry. She was also instrumental in the production of 12 films; she nurtured the cinema industry and wholeheartedly supported the development of the cinematic arts in Sri Lanka. She led the way in developingEdirisinghe Trust Investments, a business that Mr. E.A.P. Edirisinghe started. She propelled ETI’s growth and helped it become a leading force in the country. Mrs. Soma Edirisinghe made the decision to revampthe EAP Group of Companies and take it to the next levelby handing over the management of the group to a board ofacademics, professionals and economists. Thanks to her vision and her legacy, EAP Holdings is now a shining light in various industries. After she handed over the management of the company, she dedicated all her time and efforts to philanthropy; something which had always been close to her heart.Her passion for life and her ability to care for those around her were evident from an early age. Throughout her life, she remained dedicated to social work and always made the effort to support those in need. Mrs. Soma Edirisinghe joined the Lions Club of Thimbirigasyaya from its inception in 1974 and throughout her life, she remained an active member holding various positions within the association. These included the distinction of being the first ever Lady President of the Lions Club. She spearheaded the creation of the Jansarana Foundation which was dedicated to helping the underprivileged. Today, the foundation is considered one of the most well organized and successful social service organizations in the country. Her kind and generous spirit ensuredthat it continued to grow. The Suwanetha Eye Hospital which has been instrumental in providing so many people with improved eyesight was also part of her legacy along with the Sunhinda Home for the Elderly, which she supported to provide those in their golden years with a safe and tranquil place to live. She also spearheaded the Punarjeewa Fund, which assists those in need by providing them with funds to undergo heart surgery and enjoy a new lease of life. She also championedmany large scale organized relief efforts in the face of natural disasters such as floods, droughts and the tsunami which struck Sri Lanka. In all of her efforts, Mrs. Soma Edirisinghe was not only highly praised by the people, shealso received many accolades. She was awarded the prestigious ‘Lion of the Year’ award on four occasions; she also won the Sarasavi Award for the Best Film three times. She received a special award of appreciation from the SAARC Women’s Chamber of Commerce for building bridges of friendship in 2001. She also wonthe People’s Award in 2007 for ’People’s Social Worker of the Year’ which was presented by the Sri Lanka Institute of Marketing in recognition of heroutstanding servicesto the community. In recognition of her humanitarian services she has received numerous awards of national and international importance, which includethe Deshabandu National Award and the Gold Medal for outstanding humanitarian services to the nation which she won in January 2004. She also received the Deshashakthi National award for outstanding humanitarian services to the nation in 2005. She also received an Honorary Doctorate for Entrepreneurship and Social Services from the Open University of Sri Lanka in 2005. Deshabandu, Deshashakthi Dr. Soma Edirisinghe will be remembered throughout history as an iconic and brave women. Nothing in her life ever held her back. She even took part in the recent Punarjeewana Walk at the age of 76 and she showed the same unwavering dedication in all aspects of her personal and professional life. Her contributions didn’t just make a difference to several industries; they also made an impact on the economy. She achieved all her success without ever wavering from her duties as a wife and mother. She also went the extra mile to fulfil her duties as a citizen by giving back to society and her country. She will always be remembered for all that she achieved and gave to others throughout her lifetime. 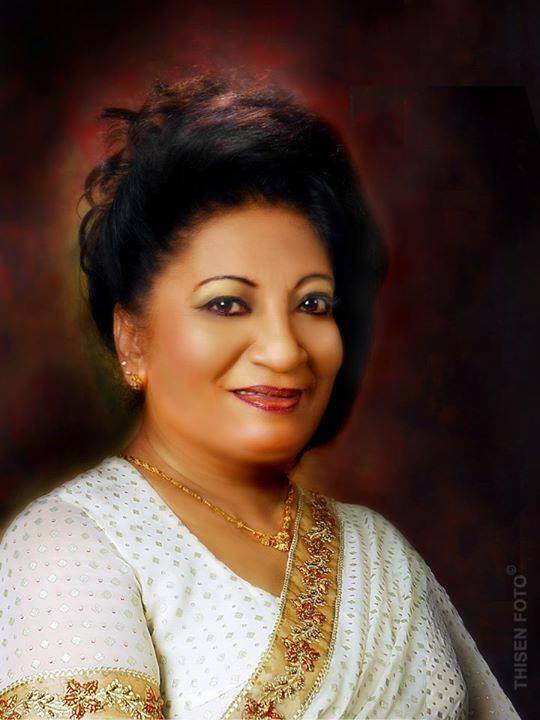 May you rest in peace our dearest Mrs. Soma Edirisinghe. Virtusa Announces Definitive Agreement to Acquirea Majority Interest in Polaris Consulting &Services,Ltd.